The Wilson Australian Open are the Official Balls of the first major tennis tournament of each year. These premium quality balls are best suited to hard courts and provide excellent visibility ensured by the Optivis felt. They deliver a more stable, solid feel and feature the NanoPlay technology for enhanced durability and consistency. The balls are packed in 4-ball tubes and supplied as a 12-dozen box (144 balls). 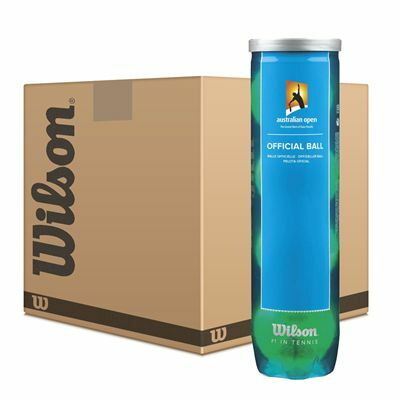 for submitting product review about Wilson Australian Open Tennis Balls - 12 dozen.